When it comes to hosting an event, New York City certainly lives up to its label as “The Big Apple”. Not only is the city home to some of the biggest musical, theatrical and performing arts events in the entire world, but it also puts great emphasis on making smaller events, such as the upcoming New York International Carpet Show, bigger and more entertaining than anywhere else. Considered the premier annual event for interior designers, rug enthusiasts and collectors, the New York International Carpet Show is celebrating its 12th year in the city, and expectations are high that this year may be its biggest show yet. This, of course, would explain why organizers moved the event to a more spacious and visually striking venue for 2016. And it also hints at what eventgoers can expect when they arrive at The Tunnel NY in the West Chelsea Historic District on 12th Avenue where the event is being held—namely, a really big show framed by the stunning late-19th century backdrop of early New York architecture. The New York International Carpet Show takes place from September 11-13 and features an international collection of interior and rug designers who have already made their mark on the industry. Also attending this year will be a handful of vendors displaying high-end, hand-knotted rugs from the more prolific rug-making capitals of the world, bringing Kerman, Tabriz and Ziegler Mahal carpets to view for attendees. To get an idea of what this year’s event holds, take a look at last year’s Elle Décor Panel Discussion video to hear from some of the top designers who were present. In conjunction with this year’s NYICS event, The Rug Show will also be making an appearance from September 10-13 to broaden the rug industry’s celebration of modern and classical handmade carpets from every continent. Hosted at the Javits Center, which is just a half mile from The Tunnel NY, The Rug Show highlights local and national vendors in contrast to NYICS’ focus on the interior design crowd. For those who will be attending, Ahdoot Oriental Rugs would like to invite you to our on-site location to view some incredible examples of Oriental, Persian and Turkish rugs or discuss the upcoming event. We offer a wide range of services beyond rug curation and sales, including rug cleaning, rug appraisal and rug repair to assist our clients with every aspect of owning or purchasing a rug. 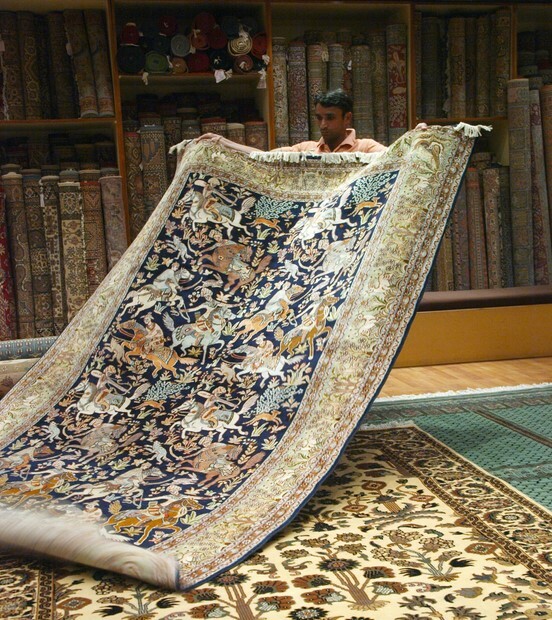 You can also explore our long history as rug specialists in NYC by visiting here.